Made of 100% durable polyester fabric. Form fitted and with Velcro straps to ensure extra-snug fit. 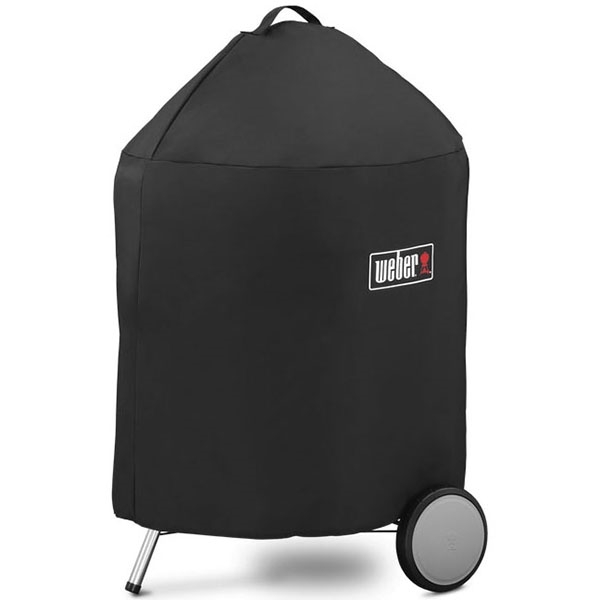 Integrated storage pouch is hidden inside cover and not visible when grill is covered. Compatible with Master-Touch Charcoal Grill.